Superstar actor Chris Pratt is catching a lot of flak. Many in Hollywood are not warm to his open embrace of Christianity. Now actress Ellen Page is criticizing Pratt for his Christian views. Ever since being discovered while waiting tables in Hawaii, Chris Pratt has slowly risen through the Hollywood ranks from supporting roles on television shows to headlining blockbuster films. And along the way, Pratt has become more vocal about his spirituality. Pratt is a devout Christian, and unlike many Christians and conservatives in Hollywood, Pratt isn’t afraid to talk about it. For example, Pratt received rousing applause at the MTV awards when he spoke to the young audience about faith in God. But for many, being an outspoken Christian can have harmful effects on a person’s career in far-left Hollywood. Character actor Neal McDonough said he lost Hollywood jobs because of his Catholic faith, and actors Kevin Sorbo and Kirk Cameron have all but been erased from mainstream roles. Even fellow performers are attacking their colleagues. 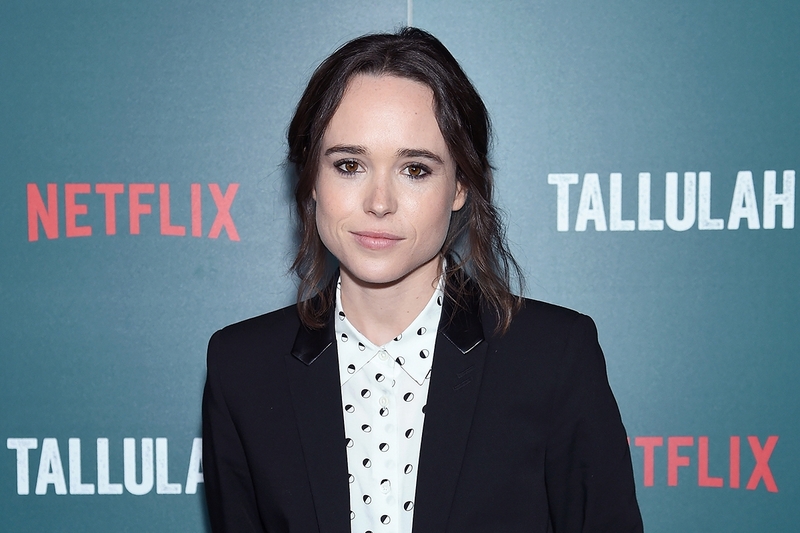 Actress Ellen Page is the latest example, and Chris Pratt is her target. Page previously attacked Ivanka Trump for her support of religious freedom. In light of the legal and social harassment of Christian florists and bakers, religious freedom protects them having their rights violated by increasingly militant leftists. Page, who came out as a lesbian a few years ago and has become a vocal far-left activist, ripped Pratt because of his church’s views. Page and other leftists either don’t understand or don’t care about religious precepts. Moreover, Pratt and his church are not one entity. The reason why Page doesn’t grasp this is because she’s a practitioner of another religion: leftism. Leftism is an expansionist religion with its own tenets. If anyone doesn’t toe the line of leftism, he or she is labeled a “deplorable” and must be excised from polite society. Leftism only respects power, so it is unable to crush someone of Chris Pratt’s status, but not for a lack of effort. If Page and her cohort had their druthers, Pratt wouldn’t have a career in Hollywood. This leftist mindset is growing in American culture, particularly in politics. Senator Cory Booker embarrassed himself with how he hounded circuit court judicial nominee Neomi Rao on her Christian beliefs. Second Lady Karen Pence was ripped for taking a position as an art teacher at a Christian school. The students at Covington Catholic High School were harassed for their religion and the crime of wearing a MAGA hat. The despicable media smear campaign against the kids led to a New York Times reporter hunting for stories about bad experiences at religious schools. The hostility toward Christians is growing swiftly. It should come as no surprise to anyone if the left’s next move is to remove nonprofit status from Christian institutions. If the Democrats ever proposed such legislation, leftists like Page would use their platform to mobilize the masses.